About 2,500 Irish people are diagnosed with lung cancer every year. Hundreds of adults suffering from lung cancer in Ireland will now have access to a drug that has shown to significantly extend patients’ lives. Pharmaceutical company Bristol-Myers Squibb has today announced that the HSE has approved the immunotherapy drug nivolumab for use in Ireland in patients suffering from advanced lung cancer if they have already failed prior chemotherapy treatment. About 2,500 Irish people are diagnosed with lung cancer every year, making it the fifth most common cancer in Ireland, according to the Irish Cancer Society. The drug works by stimulating the body’s own immune system to fight the cancer. The HSE said it is expected that there could be between 400 and 500 patients eligible for this as treatment of locally advanced or metastatic lung cancer after prior chemotherapy. Fifty-nine-year-old Meath native Norman Murray was diagnosed with stage-four lung cancer three-and-a-half years ago. after he thought he had tonsillitis. However, it was discovered that a secondary tumour from lung cancer was actually in his throat and causing these symptoms. He has been using nivolumab for a number of years. He initially began chemotherapy treatment but stopped it as he had very severe side effects. “Chemo is… it’s hard to explain… as if somebody was pouring boiling acid into your veins,” Murray told TheJournal.ie. “With chemo you couldn’t even walk, you didn’t even know if you’d be able to walk [after treatment]. Everyone is different, but the strongest people are not strong with that stuff going through you,” he said. As the chemotherapy treatment had failed, Murray was placed on a clinical trial for the nivolumab drug. Since being enrolled on the drug, he has seen minimal side effects. While Murray still has tumours, he said they have shrunk since beginning the treatment. He said that the approval of the drug for lung cancer patients will have a “massive, massive” impact. “People can live normal lives,” he said. Today’s decision marks the fifth cancer type for which the HSE has recommended nivolumab. In October 2017, the drug was approved for use in Ireland in patients suffering from advanced melanoma, advanced kidney cancer and classical Hodgkin lymphoma. A study of kidney cancer patients in 2016 found that 40% of people treated with the combination of nivolumab and another drug ipilimumab saw their tumours significantly reduce while 10% were left with “no detectable sign of cancer” at all. While an international study on advanced melanoma patients in 2015 found that it stopped cancer advancing for nearly a year in 58% of cases. 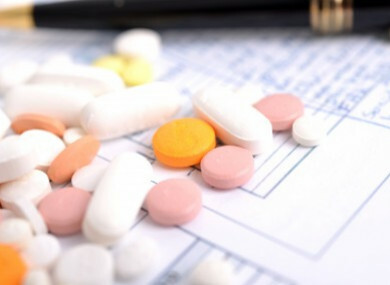 The HSE had been previously criticised for its delay in approving the drug. Helen Forristal, director of nursing services at the Marie Keating Foundation said: “We welcome the news that a new treatment option for Irish patients with this advanced, devastating form of lung cancer will be available from today. People battling cancer deserve to have access to the latest innovations in treatment available to them, and today’s decision shows great commitment to bringing a new option to those most in need. Email “'We can live normal lives': Life extending drug now available to hundreds of lung cancer patients”. Feedback on “'We can live normal lives': Life extending drug now available to hundreds of lung cancer patients”.